No. 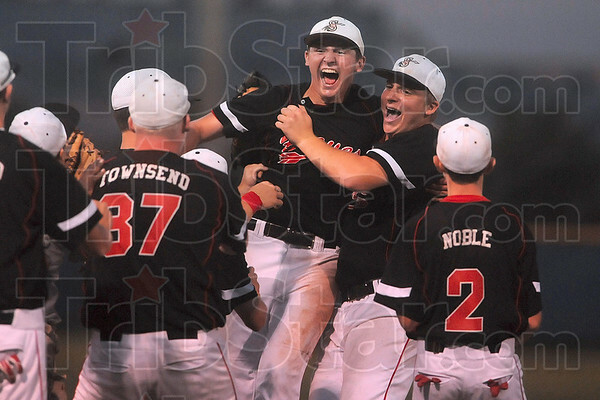 12 gets the "W": Brent Mulvihill, center, celebrates with his teammates, including fellow pitcher Andrew Reed, after the Braves defeated Terre Haute North to win the No. 13 sectional Monday at North.